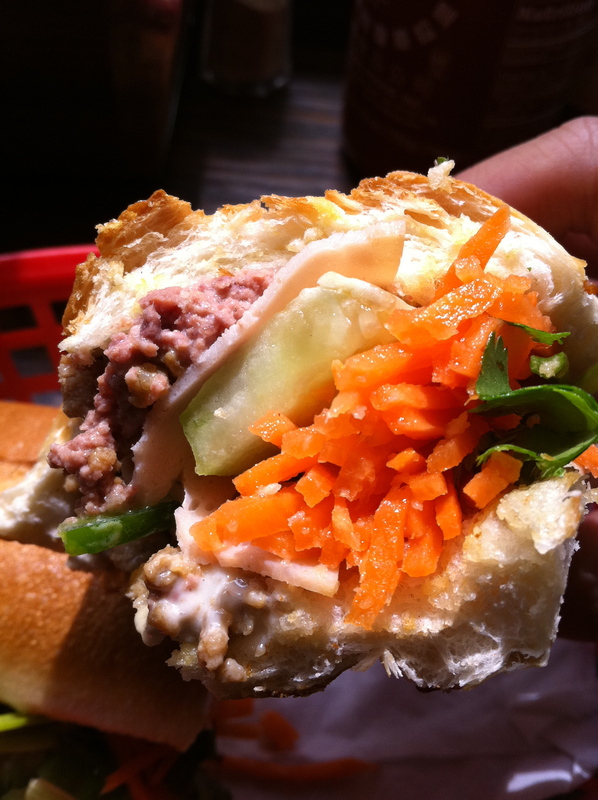 I have a great deal of fondness for Vietnamese baguette sandwiches, or bánh mì. Although not unknown in London, eateries serving them are few and far between. Sadly, one of the best, Viet Baguette on Charlotte Place, has closed and looks unlikely to reemerge. There are no such problems in New York though where bánh mì establishments of all shapes and sizes can be found on almost every street corner. There are a couple of branches of Nicky’s Vietnamese Sandwiches dotted throughout the Big Apple, so I dropped into the downtown Brooklyn branch one weekday lunchtime. It’s not really a restaurant, more a cafe, but I’m such a big fan of bánh mì that I’m reviewing it here anyway. The good news is that the Classic came filled with plenty of fresh, crunchy carrots and cucumber as well as a liberal helping of fresh coriander. The bad news is that there was precious little of the pate and ham and what little there was was rather bland – the ham was especially lacking the fatty meatiness that I would expect. The optional spicy sauce wasn’t very spicy – I’ve had ketchups that are more piquant. I could’ve used the bottles of sriacha sauce present on every table, but that really isn’t the point. I’m also a big fan of Vietnamese coffees. The best I’ve had in Paris use a strong dark roast with lots of condensed milk. 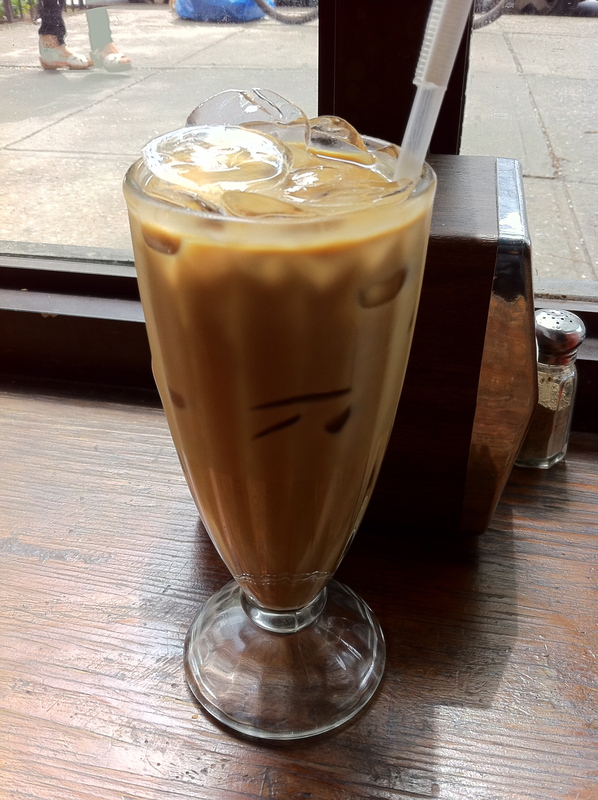 Although the version at Nicky’s certainly had plenty of condensed milk, the coffee was surprisingly weak – an annoyingly common problem in many iced coffees. The Classic bánh mì at Nicky’s Vietnamese Sandwiches was rather poor overall, which is both surprising and disappointing. I had been planned to go back and try out their pho, or beef noodle soup, but I could never quite bring myself to do it when their signature dish was so underwhelming. I don’t like damning an establishment based on just one dish alone, but when it’s the eatery’s signature dish as it is in this case, I feel it’s deserved. Two stars. 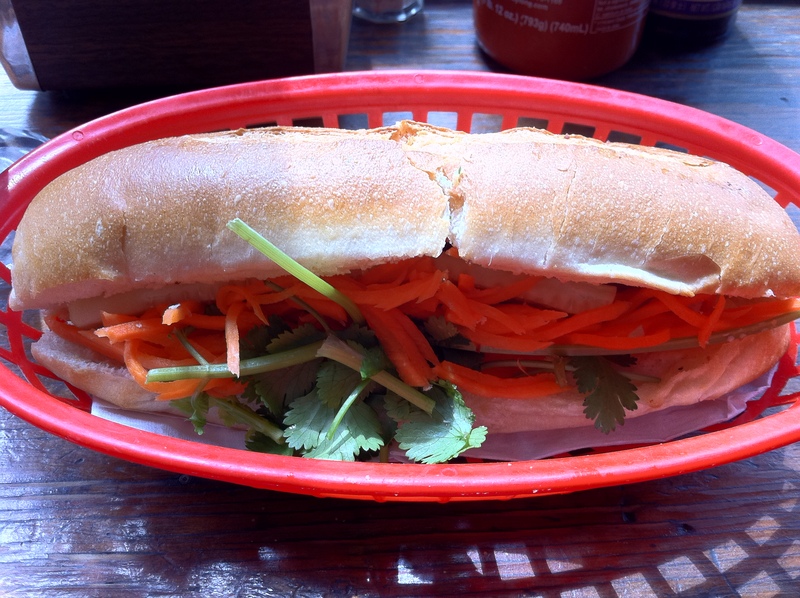 Tags: baguette, bánh mì, brooklyn, new york, Nicky's Vietnamese Sandwiches, restaurant, review. Bookmark the permalink. Previous post ← Cay Tre Dean Street Soho review – Proper Soho Vietnamese at last?